The author of Station Eleven answers eight questions submitted by eight other authors. 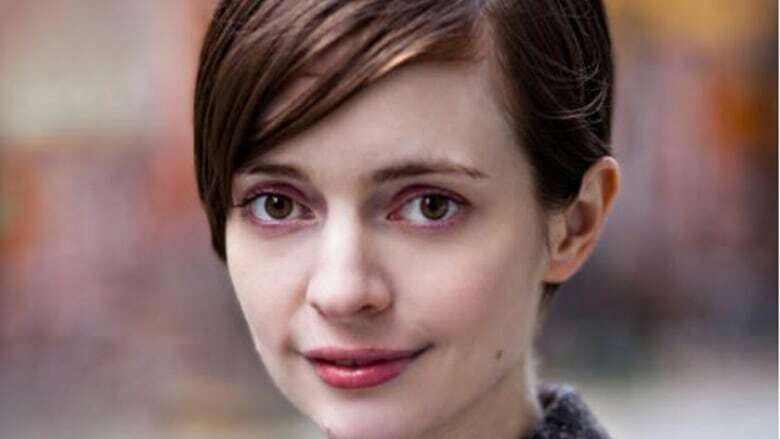 The author of one of fall 2014's most buzzed-about books, Station Eleven, takes a moment out of her subway ride to respond to questions from the Canadian literati about mystery endings and the literary event of her dreams. Below, Emily St. John Mandel answers eight questions submitted by eight of her fellow writers in the CBC Books Magic 8 Q&A. 1. Peter Robinson asks, "What are your favourite and least favourite parts of the writing process?" I like the time after I have a complete first draft, when I'm immersed in rewrites and edits. I'm often writing whole new chapters at that point, but I'm working within clear parameters and I know how the story ends. My first draft is always a mess, but there's enjoyment in figuring out how to solve all of the problems that it presents. It's such a pleasure to immerse myself in the world of the book in those times. Least favourite: the times during the writing of the first draft when you don't really know what you're doing or where you're going and there's a creeping suspicion that possibly you've wasted a year of your life on a book that you might not be good enough to finish. 3. Vincent Lam asks, "For you — what does the 'Ultimate Literary Event' look like?" If you'll permit a brief foray into speculative fiction, I think the ultimate literary event would be if someone were to compose a symphony inspired by a book that I'd written, and then the event would be listening to the symphony in a beautiful concert hall. I think that would be incredible. 4. Charlotte Gray asks, "Do you think creative writing courses encourage or discourage originality?" I'm not sure I'm qualified to answer this question, given that I've never taken or taught a creative writing class of any kind. But when I consider the people I know who've taken a lot of creative writing classes, the quality of their work is too varied — and no, I won't name names — to judge whether the courses helped or harmed them. I know fantastically original writers with MFAs in creative writing, and I also know terribly dull writers with the same degree. I see the same range among writers who haven't taken creative writing courses. 5. Helen Humphreys asks, "Which of your books is your favourite?" My newest one, Station Eleven, by far. My preferences run in reverse chronological order: I don't dislike my first book, but if I wrote it now it would be very different. I think my fourth book is better than my third, my third better than my second, my second better than my first. Which is probably the best-case scenario with these things. It would be depressing if my first book were the best I ever wrote and then it all went downhill from there. 6. Vincent Lam asks, "Do you ever choose to deviate from rules of standard grammar and language usage? If so, how do you decide whether to do it?" Sometimes I'll be going for a particular effect or impression, and the words at my disposal won't seem quite adequate, so I'll make something up. But English is a wonderfully redundant language, so usually it isn't necessary to come up with new words. When I was a kid I spent a lot of time by myself in the woods or reading, both of which activities are probably helpful in developing the kind of overactive imagination that's conducive to writing fiction in later years. Also, I was homeschooled until I was fifteen, and for a while one of the requirements of the homeschool curriculum was that I had to write something every day, so I was in the habit of writing from a very early age. 8. JJ Lee asks, "If you had to write a country song right now, what would the chorus be?" From Brooklyn to Manhattan, on my iPad all the way..."